The need for uniqueness is stronger than ever. The need to have an accessory capable of expressing the mood of the person wearing it. Lettering and freehand writing are the most direct way to personalise an item. 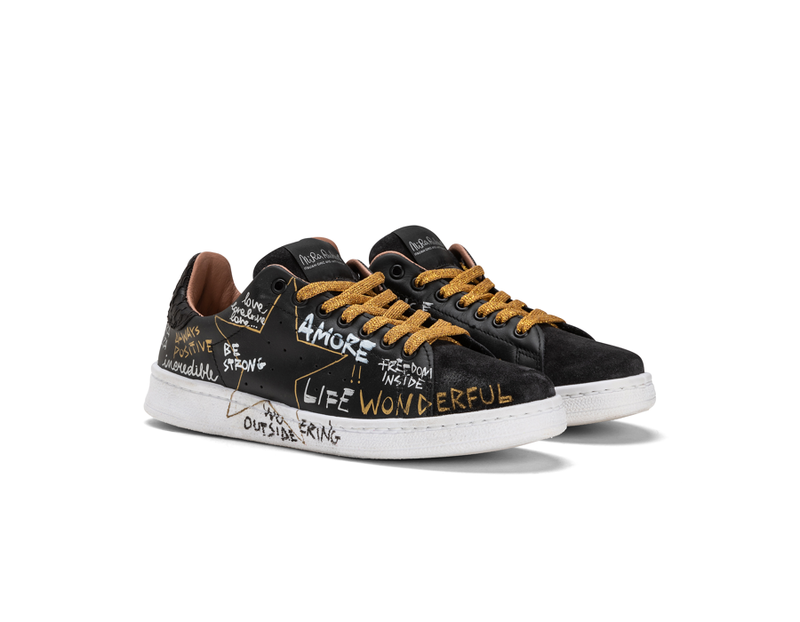 Nira Rubens, the ‘Made in Italy’ sneaker brand, characterised by stars and hearts, offers the opportunity to enrich these symbols with words and phrases – all “politically correct”, of course. 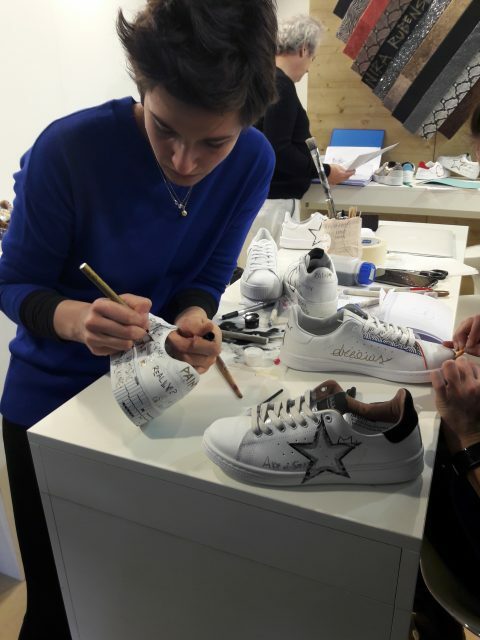 To do so, the company turned to the decorators of the Venice Academy of Fine Arts who demonstrated, at the Pitti Uomo stand, how one can make a pair of shoes unique and impossible to replicate. The service will be available in selected stores, which can deliver the sneaker with the phrase or slogan chosen by the customer in 48 hours.